@evencleveland On my way home last night: a mini dachshund in an argyle sweater and rhinestone collar who answered to the name "Diamond." @kidchamp @evencleveland would bowie be pleased? i like to think so. 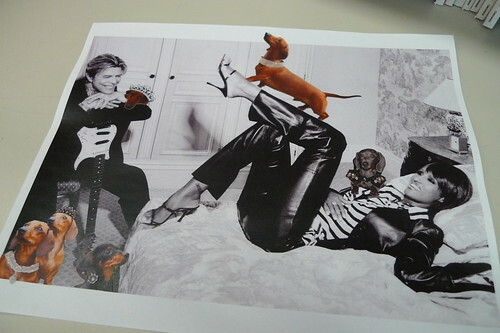 @evencleveland Now I have a happy thought for the day: David and Iman, reading, suavely relaxed, surrounded by dachshunds in diamond collars.